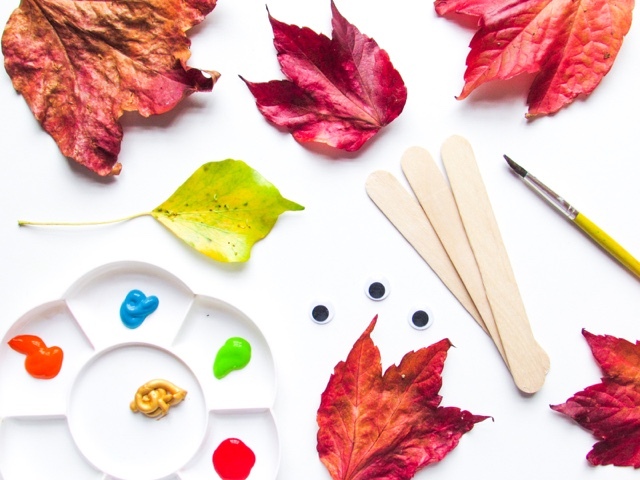 Autumn is just the perfect time of year for crafting activities with toddlers due to the (what feel like) endless rainy days and variety of goods nature has to offer. As the leaves fall from the trees, as do a whole host of other beautiful parts of nature, including acorns, conkers and pine cones. All of these free gifts from nature can be used to create pieces of 'art', within games or as toys. This time last year I was in the early months of pregnancy and life was not all about crafting, in fact it was spent curled up in a ball of sickness and headaches. 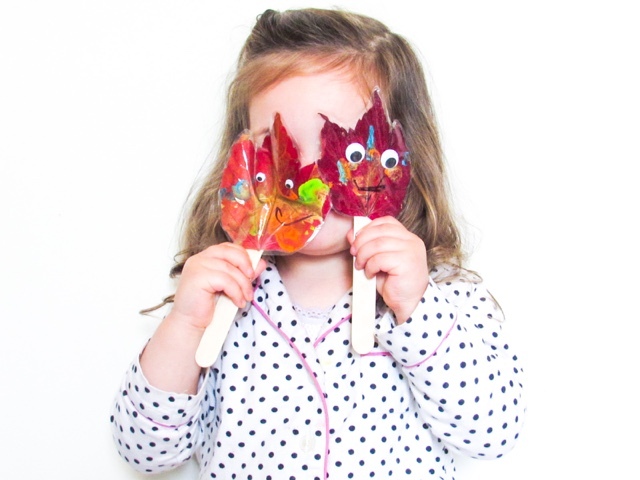 I have therefore really been looking forward to doing some autumnal crafts with Isabella this year, especially as she really understands now. Luckily, she's a pretty tidy/clean crafter so the mess created in kept to a minimal. 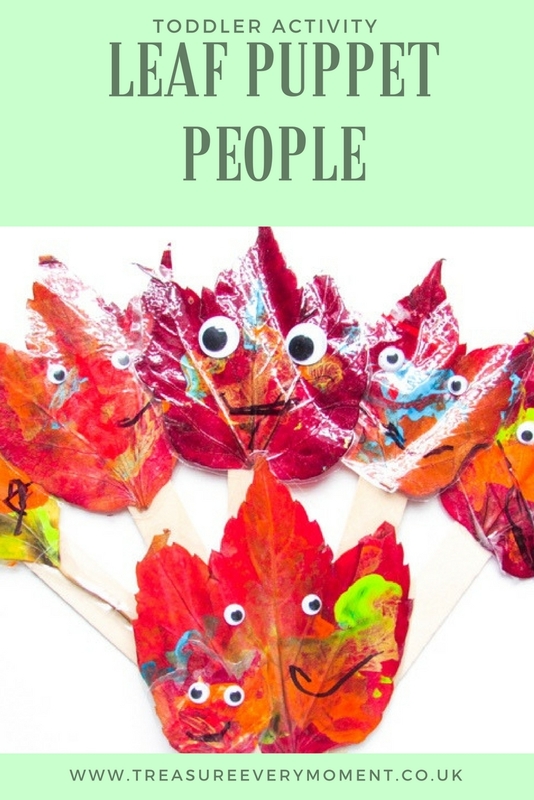 These Leaf Puppet People are one of the more long lasting autumnal crafts we've done and they can be enjoyed in a variety of ways. The obvious is as puppets, but we've also done a treasure hunt (I hid them around the house for Isabella to find) and taken the leaf people on a Bear Hunt around our local area. One of the amazing parts of parenting a toddler is that their imagination will take you to places you couldn't even imagine. 1) Go on a leaf hunt. We took a bucket to fill with as many leaves as we could find - try to get a variety of shapes and sizes. 2) Go through your collected leaves and pick out the 'best' ones. Clean them gently using some damp kitchen roll and then dry them. 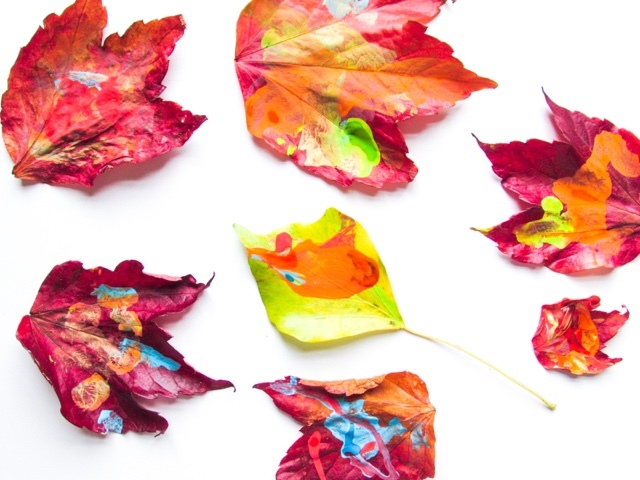 3) Paint the leaves with your chosen coloured paint. Leave to dry. 4) Turn the laminator on to heat up. 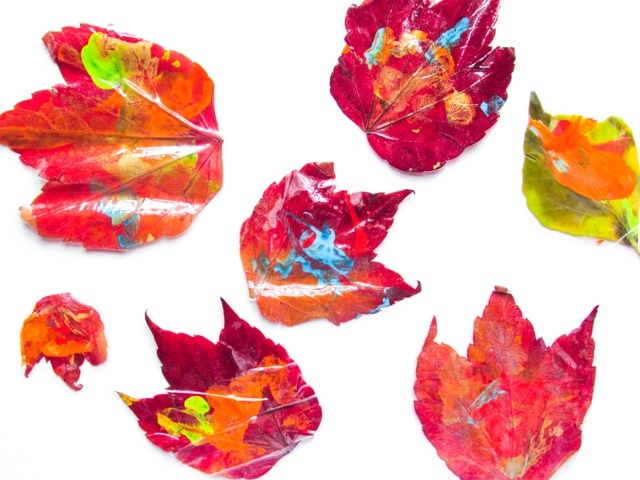 Once the leaves are completely dry then arrange them in a laminating sheet. 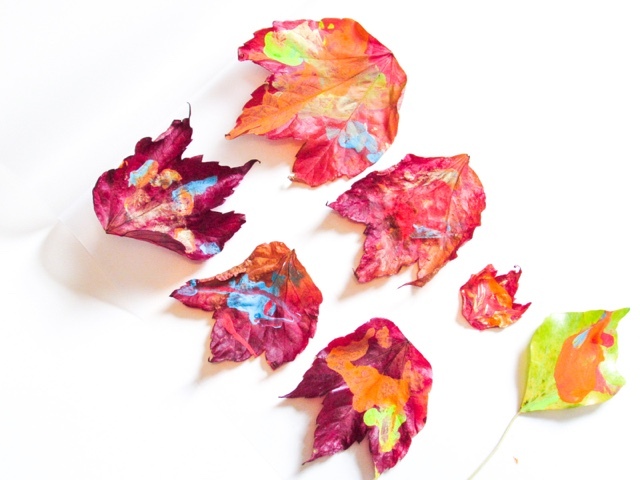 Ensuring all of the leaves are lying flat, place the sheet through the heated up laminator. 5) Cut out the laminated leaves, making sure there are no sharp points. 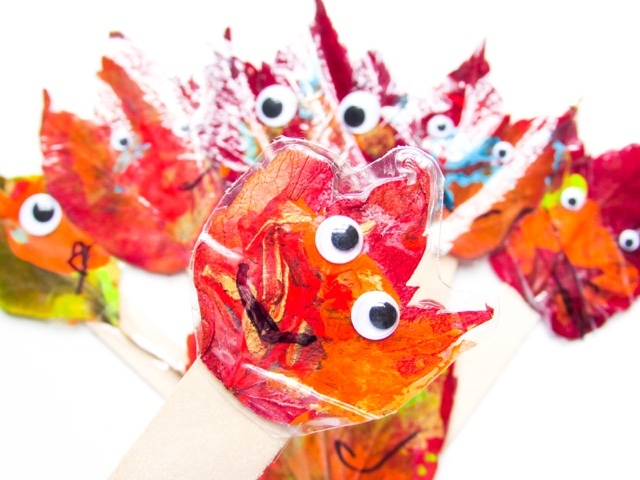 6) Using the PVA Glue to attach the googly eyes and then draw on a smile with the permanent marker. 7) Sellotape the lollipop stick to the back of the laminated leaves and voila...a leaf person has been made! What are your favourite autumnal activities? This is so clever yet so simple. Going to show my sister this blog post as her kids would love this! I love this! Will definitely be giving it a go. Love this idea it's so simple to do too will have to get some leaves to do this. These are so cute! 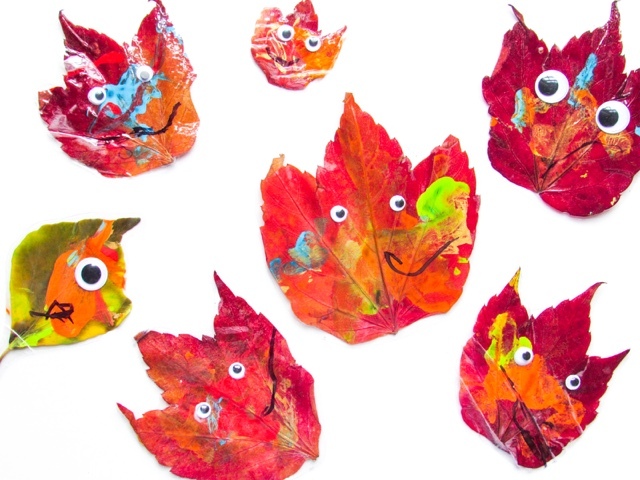 We made some fox leaves and my girls loved them! What a lovely idea.They look so sweet :) Great activity to do. Ah what a simple but lovely idea! I love Autumn leaves! Amazing idea and perfect for this time of year! My two would love making stories or a puppet show with these. Thanks for the idea!